In this talk, artists Tim Wainwright and John Wynne are joined by Beth Elliott and Karen Taylor to discuss the exhibition Transplant and Life (currently on show at the Hunterian Museum), the stories behind it, and the broader relationships between arts and health. Beth Elliott is Director of Bethlem Gallery, a contemporary gallery based on the grounds of the Bethlem Royal Hospital, and Karen Taylor is the Manager of Royal Brompton and Harefield Arts.The exhibition will be open for half an hour before the talk itself, which will start at 7:30pm. After the talk and Q&A, enjoy an artist-led late view of the exhibition. Free event but places are limited. For more information about booking please visit the Royal College of Surgeons website. 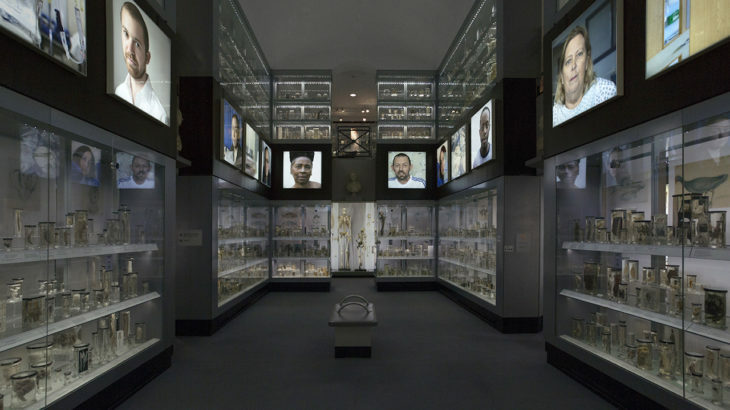 Events, News Hunterian Museum, medical humanities, Organ transplant. permalink.